It requires a lot of work around to have the scheduling fall in place every day and managing the same manually or making a record through emails or excel isn’t feasible. Employee schedule software makes it easy and convenient to be used by any user.Here is the list of top software with their special features to choose for your work. Shift Planning is a complete automated software that helps you to save your time in scheduling. It notifies the employees of their schedule of the day before the shift starts. Reduce efforts to plan the work force for the particular shift. It allows keeping a track of employees reporting time and attendance. 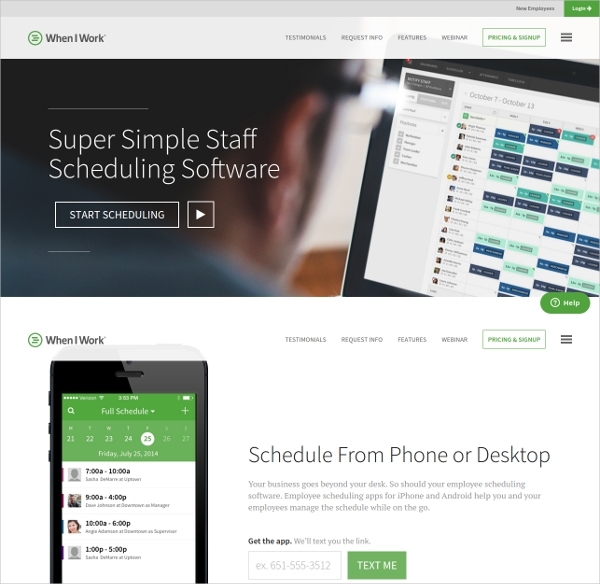 When I Work is one of the simple employee scheduling software. It offers mobile App to download for the employees to make schedule easy. Helps to improve communication between the management and employees. It also allows tracking the location of the employee. 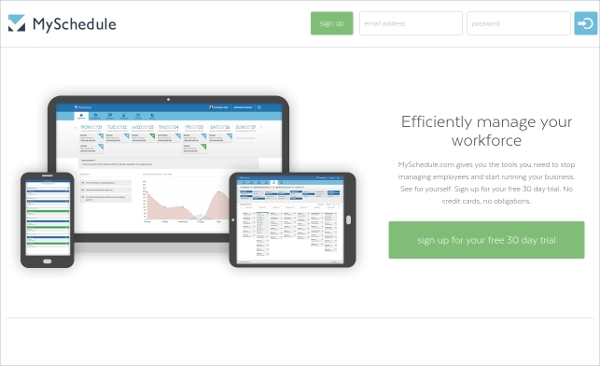 MySchedule.Com is one of the stable software that allows you to publish reports and gives you the insights of the employee schedule. It allows automated scheduling of employee for the entire shift. Shift reminders, time and shift tracking. It also allows group scheduling. 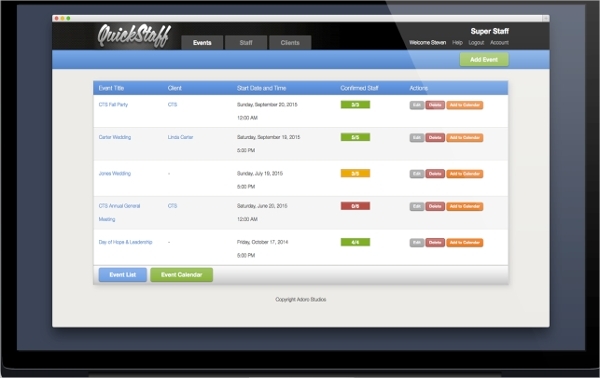 QuickStaff offers an efficient use of calendar to allow employees to check their schedule in advance and plan accordingly. It can store employee data base that helps to make the scheduling easy every day. It offers mobile App that helps employees to check their schedule for the week or month. Droster employee scheduling software helps to schedule a large number of employee, best suited for large employee data base organizations. It allows setting schedule recurrences. It helps to make the full coverage of the entire shift including a 24 hours shift. 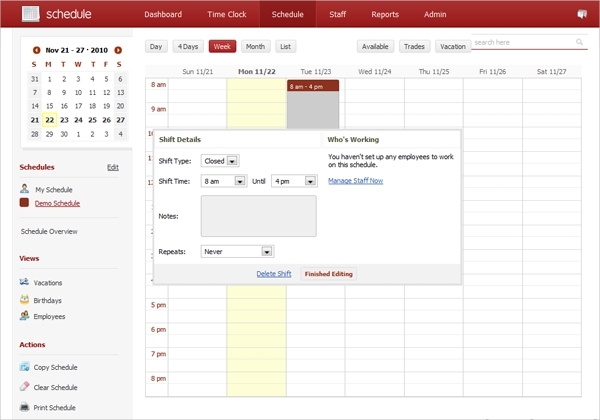 It allows you to respond to employees to their preference of the schedule. 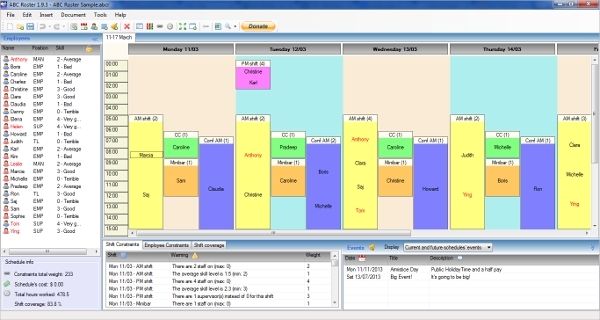 Snap Schedule helps to create and circulate the worksheet the employee’s schedule. It helps to find alternate in case of any absent which helps to manage shrinkage. It provides a great solution for time and attendance tracking of the employees. It helps you to manage payroll by tracking attendance of the employees. No risk of time theft or buddy punching. 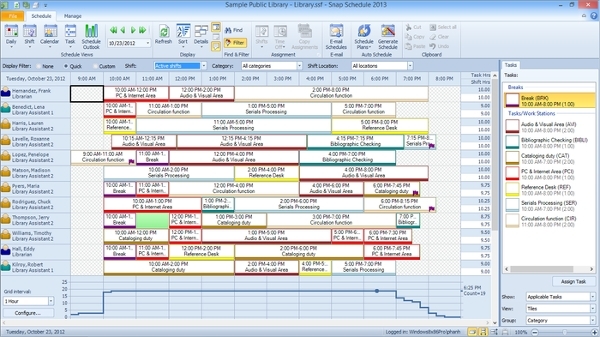 Track the schedule time for multiple locations, and different shifts. It offers a complete assistance to plan different scheduling for different shift and locations. It has options to forecast and workforce management for your business. These software help to save your time that you invest in creating a manual schedule and tracking of employees. You can finish your scheduling and planning work in the minimum time and give more time to your business. It eliminates the need of manual tracking and help to utilize your man power efficiently; in result growing of business. How to install these software? 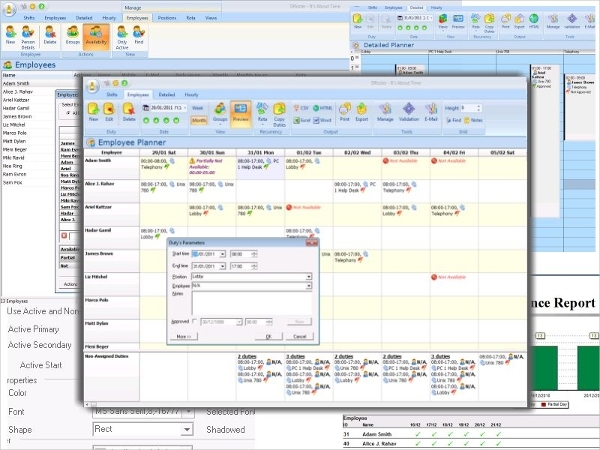 Installing any employee scheduling software is very easy. We have brought the top software with the direct link to install. You can simply click on the link and follow the computer instructions that are available on the download page. After the download is completed, run the application. You can now import your employee data base and start planning your work force according to the shift requirement. These software offer an easy tracking of employees availability, their location, their reporting time. Most of the software offers a reminder feature, wherein the employee gets a reminder before their scheduled shift creating accountability on the employee to report on time. 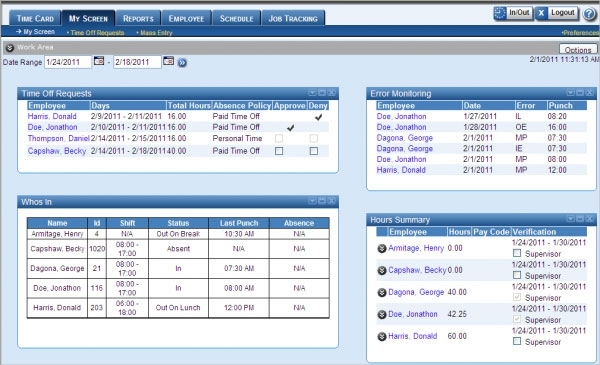 The tools allow you to generate the employee reporting data which helps to plan your schedule efficiently for future.